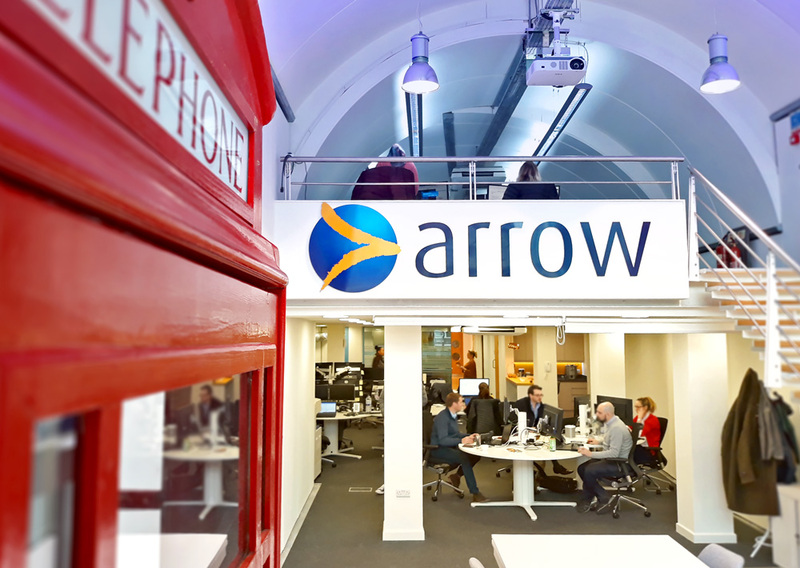 Arrow Business Communications Limited strengthens its presence in London with another acquisition and a new office. GODALMING, SURREY, UK (22nd March 2018): Arrow is delighted to announce both the acquisition of Reeves Lund Ltd and the opening of a brand new office for our London based staff. Reeves Lund Ltd is a boutique telecoms reseller based in Farringdon, London and has been providing telecoms services in London for over 20 years. Former directors, Patrick Lund and Peter Harper-Hill will be leaving the business but the rest of the staff will remain in their current roles ensuring a smooth transition for customers. Patrick Lund comments, "I'm delighted that Arrow have picked up the baton from Peter and myself and we will work with them to ensure a smooth customer transition. Our staff are excited about the opportunity offered by Arrow as they will be able to provide our customers with enhanced support services and a broader range of products". Following the acquisitions in 2017 of Pulse Business Energy and Worksmart Technologies, Arrow has now merged all three London offices into one which is centrally located close to London Waterloo. The vibrant new office opened on Monday 12th March and provides Arrow with a stronger presence in London along with an accessible and welcoming venue for meetings and events. Arrow’s headquarters are in Surrey and the company has five more regional offices around England and Scotland. Chris Russell continues, “The acquisition of Reeves Lund, our first of 2018 and our fourth in the last 12 months, brings a strong track record of providing connectivity solutions to mid-sized customers. Reeves Lund has successfully grown and nurtured long-standing relationships with a range of significant customers, in particular in Legal and Financial services. " Our new London office will now be responsible for some £15m of revenues and 500 customers in London and the South East ". Arrow was assisted on the acquisition by both Dow Schofield Watts and Kemp Little. Arrow has seven offices with 180 staff supporting a diverse range of businesses from entrepreneurs to national, multi-site organisations. Many of our customers purchase multiple products and services from us, choosing Arrow as their telecoms partner year after year. Learn more about the types of customers we support and the solutions we have implemented here. This press release was distributed by ResponseSource Press Release Wire on behalf of Arrow Business Communications Limited in the following categories: Business & Finance, Computing & Telecoms, for more information visit https://pressreleasewire.responsesource.com/about.